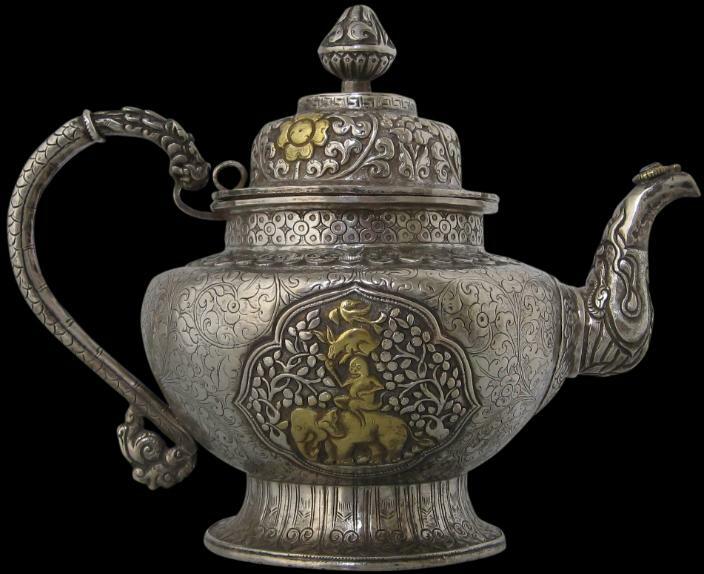 This superb silver and silver-gilt teapot is chased and engraved all over with scrolling foliage motifs, elaborate lotus petal borders and various other flower patterns. 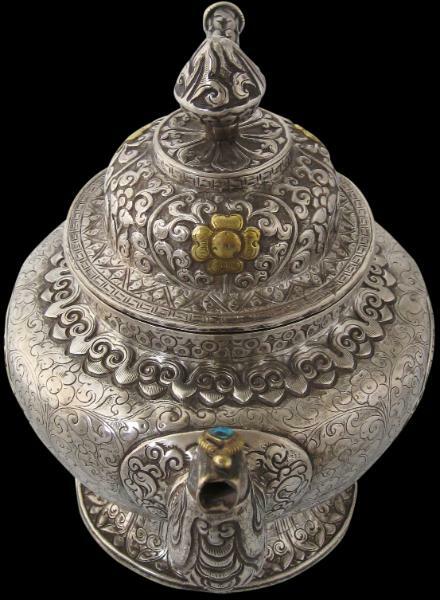 Both sides of the globular body are decorated with central stylised cloud-shaped cartouches decorated with two Tibetan narrative scenes. The other narrative scene shows Shou-lao or his Tibetan equivalent feeding a peach (or a medicinal ball of longevity) to a deer at his feet. A bowl of peaches sits on a stand in the middle of the scene. There is a crane and abundant foliage. The main elements of the scene are in parcel gilt. It is a narrative that relates to longevity. 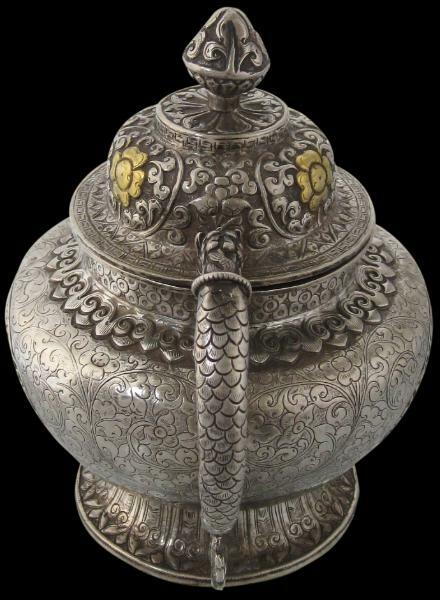 The lid is generously chased with parcel-gilt flower motifs and surmounted by a prominent flower bud finial. 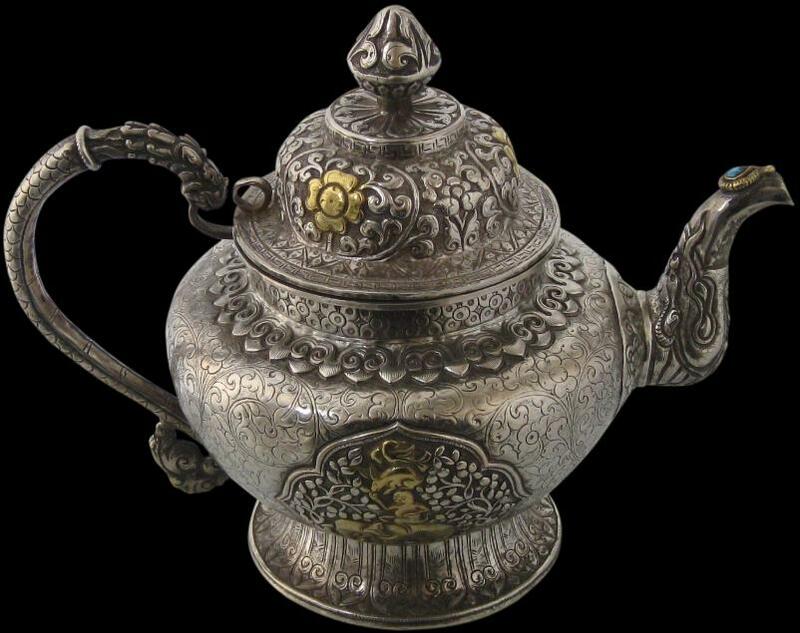 The elegant handle has been cast as a dragon with a long-scaly back. 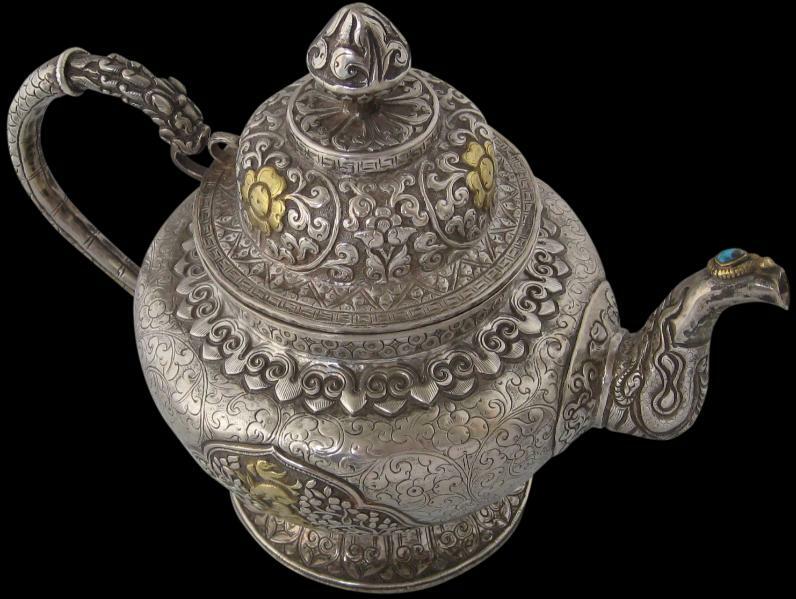 The spout is in the form of a long-snouted makara. A tear-shaped turquoise cabochon has been applied to the top of the spout within a silver-gilt mount. The foot flares and has been finely chased with a beautiful lotus petal design. 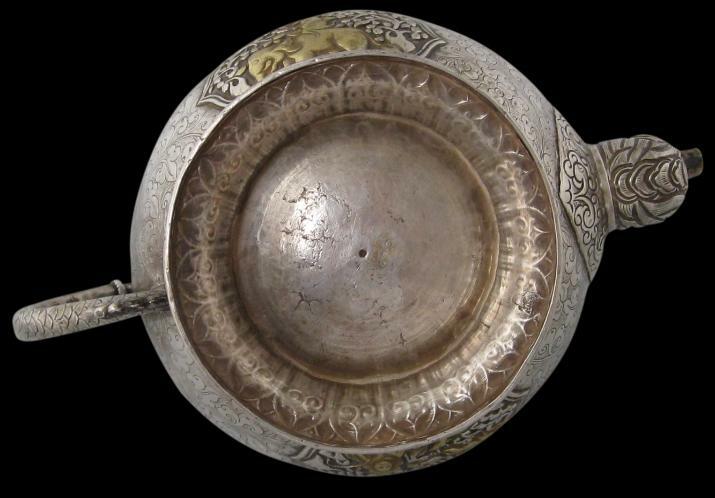 Overall, this is an exceptionally fine example of eighteenth century Tibetan silver work. The proportions are elegant and the condition is excellent.